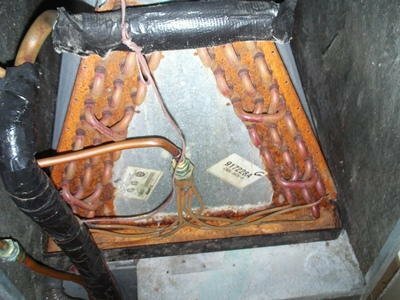 I was pokin' around in the AC closet checking the filters and I notice the coils are a bit rusty. I'm going to try to post a photo here. What do I use to clean up the exterior of the coils? So what sort of cleaner/solvent is effective and not detrimental to the coils themselves?